Rebelscum.com: Sideshow Collectibles Announces Sixth Scale Mythos Boba Fett! 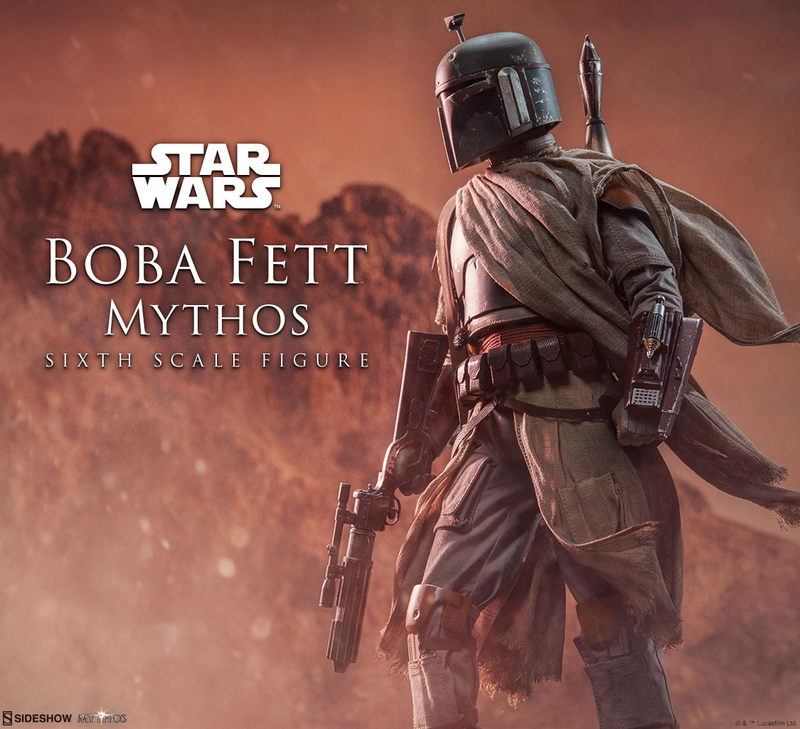 Sideshow Collectibles Announces Sixth Scale Mythos Boba Fett! Following the Obi-Wan Kenobi figure displayed at last year's event, Sideshow Collectibles will once again publicly display a new 1/6 scale figure based on the previously released (and quickly sold out) statue. Stay tuned for detailed images in our coverage at the 2018 San Diego Comic-Con! July 16, 2018 Sideshow Collectibles: Sixth Scale Mythos Boba Fett Is Up! June 21, 2018 Sideshow Collectibles' Obi-Wan Kenobi Premium Format Figure Has The Best Exclusive Ever! May 4, 2018 Sideshow Collectibles' New Premium Format Princess Leia Is Up! March 30, 2018 Sideshow Collectibles: Death Trooper Life-Size Figure Is Up!